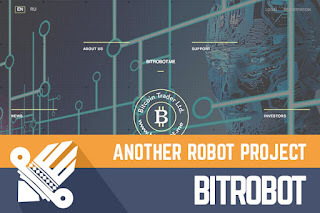 BITROBOT is online for more than 30 days, and that just mean that shortest investment plans for early investors are over and they already enjoy fine profit from this project. The project at this stage is listed on Standard listing, and it is monitored by DavidNews.com already for 7 days (by the way in the project I reinvested $200 for monitoring purposes). It is quite clear that BITROBOT is a relatively professional project with an eye-catching design it surely can attractive potential investors. Of course, we can argue if such robot theme can attract investors outside regular HYIP player cycle, but if the administrator does know how to play cards right then nothing is impossible. For now, I do not see that big activity for this project in the forums or social media, but time will show and might but that also this type project could get big. I must say that this project can offer attractive investment plans and nice thing is that it accepts most popular payment options of today. In the end, I would like to say that I like the fact that administrator does not spend much money around in the advertising because investment climate of today is quite dry. In any case, if you plan to invest than the weight you investment risk carefully and invest only that you can afford to lose. Investment plans: 1.2% up to 2% daily for ten up to 30 calendar days, initial deposit returned at the end of the investment term. 4.5% up to 5% daily for 40 up to 70 calendar days, initial deposit included in the payments.